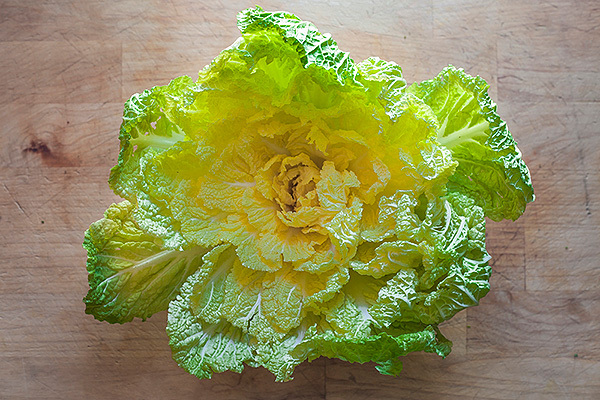 Cynthia Smith says that when your gut is healthy, you can think better. And one way to get a healthy gut is make sure it has some lactobacillus bacteria, a bacteria used in starter cultures of fermented products such as yogurt, sauerkraut, pickles, beer, and kimchi. Smith’s demonstration at TMY’s Kitchen Stadium will borrow from that concept, as she shares information about both traditional and current fermentation processes in the region, as well as the basic how-to for do-it-yourself home fermentation. To this end, Smith will talk about equipment, time, temperature and how to make a salt water brine and prepare the vegetables. She’ll also give pointers on how to tell if your fermenting is actually working. “With my produce I have to go through testing in labs, but when you’re doing it at home there are simple things to look for, general rules related to the way it looks, tastes, smells,” she said. Smith’s expertise comes from all the trials and tests she did while launching (with business partner Elianna Madril) Bajo Tierra Kitchen, a small company specializing (so far) in kimchi, a Korean fermented cabbage side dish. 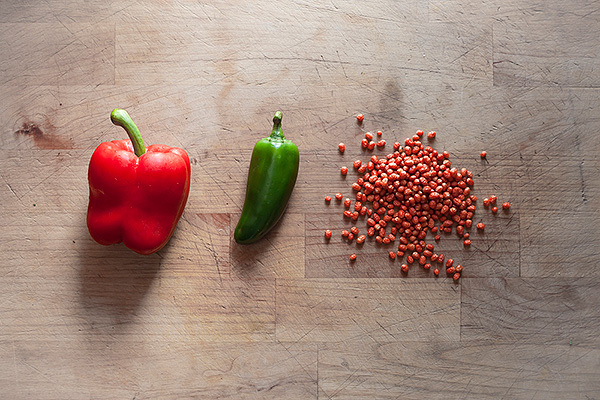 The company uses locally sourced ingredients whenever possible, Smith says, which they find with the help of Pivot Produce, a new business owned by Eric Stanford that helps connect local farmers with restaurants and others businesses, like Bajo Tierra Kitchen. 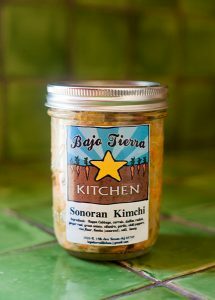 Bajo Tierra Kitchen’s kimchi is available at the Food Conspiracy Coop. Soon they’ll be in several local farmer’s markets, she said. She’s also tried pomegranate, which uses a different method of fermentation — not salt water, just honey. Smith first learned about food preservation from her grandparents, who had a small farm in Louisiana. 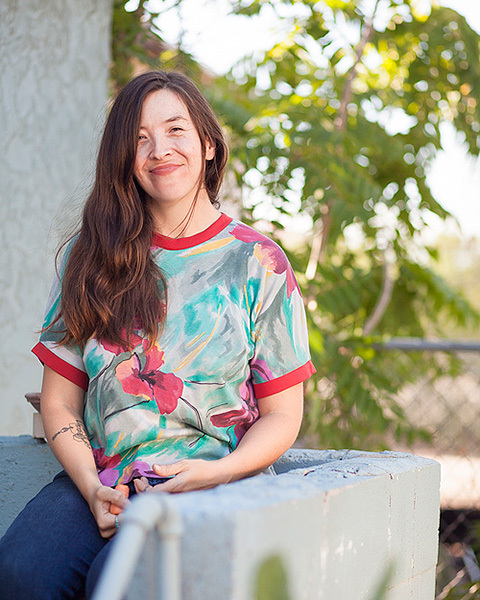 But she didn’t start fermenting foods until she started working at Sleeping Frog Farms in Cascabel, Arizona a few years ago. After a day at the market, there’d be leftover produce that was wilted or that they couldn’t sell. “They’d say, ‘please take this home and do something with it because it’s just going to get composted,’” she said. “I found out how much how many nutrients get lost when things are cooked,” she said. That’s when she researched lactobacillus, a healthy bacteria which aids in digestion. Research also shows that lactobacillus can help offset depression and improve mental function. Smith also began researching heritage practices of fermentation in the region. Native people of the Southwest have been making fermented beverages for a long time. Apache, Pueblo, and Navajo tribes make tiswin or tulapai, usually of fermented corn and similar to chicha, a fermented corn drink of indigenous peoples in South American. The Tohono O’odham make a tiswin from saguaro cactus fruit, which is cooked and fermented as wine then used in ceremonies to call the rain. Smith also discovered that tamales were once made by letting the masa ferment in the corn husk. “Unfortunately I don’t have a recipe for that,” she says. Smith says she hopes her demonstration at TMY will put people at ease about the process. Katz, Sandor. 2003. Wild Fermentation: The Flavor, Nutrition, and Craft of Live-Culture Foods is a 2003 book by Sandor Katz that discusses the ancient practice of fermentation. Chelsea Green Publishing. McGruther, Jennifer. 2014. The Nourished Kitchen: Farm‑to‑Table Recipes for the Traditional Foods Lifestyle. Ten Speed Press.